I am a teacher which means I am on my feet all day. I know I am not alone. Teachers, nurses, food service workers and so many more people in the workforce deal with the same issue. I want to be comfortable but I don't want to wear ugly shoes that look like they came from my grandma's closet. No offense grandma! But I am in my 30’s and I want to look like it! Not to worry! It is possible to find comfortable shoes for standing all day that are also cute! 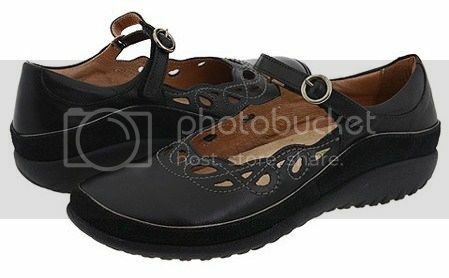 Look for styles like the Mary Janes shown above. They go with just about anything and you can dress them up or down. More great choices include clogs and mules. If you take the time to look around, you can find shoes that will support your feet and keep them happy. Let's face it; we all take our feet for granted. That is, until we feel pain from excessive exercise, shoes that don't fit properly or simply from the daily pressure of our body weight. It all comes down to supporting a strong foundation from your feet up. In the end, a healthy life style depends on the state of your feet.